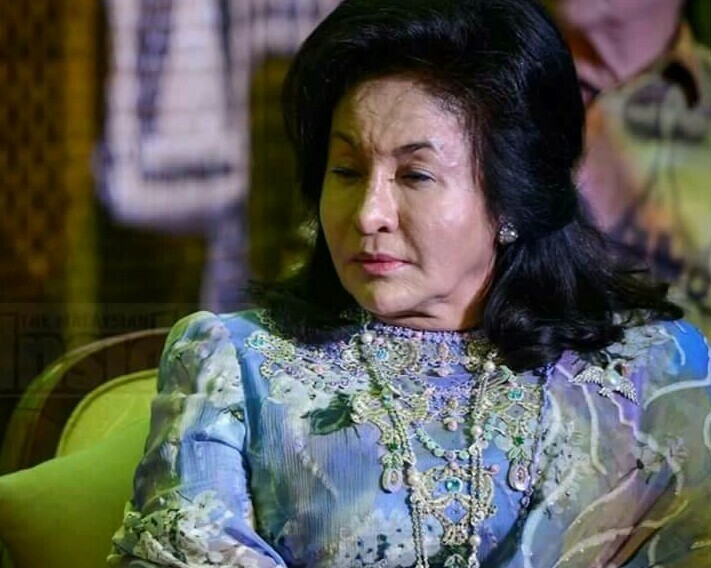 Kuala Lumpur, June 1 — Malaysia Anti Corruption Commission (MACC) will be investigating and questionning Former Prime Minister Najib’s wife Datin Seri Rosmah Mansor very soon. She has been summoned today by the Malaysian Anti-Corruption Commission (MACC) to record her statement this Tuesday. A notice was sent to the ex- Malaysia fist lady Rosmah to come to MACC to help the investigation into 1Malaysia Development Bhd-linked (1MDB) SRC International Sdn Bhd, MalaysiaKini reported earlier today. According to the news portal, the wife of former premier Najib Abdul Razak must be present at 11am at MACC headquarters in Putrajaya to record her statement. Both Najib and his wife Rosmah have been barred from travelling overseas and are being under investigation since the new government Pakatan Harapan took over on 9th May. Recently the police raided their residences and seized millions of cash money, jewellery and luxury items allegedly belong to them. Najib Razak denies all alegations and he was cleared up from any wrongdoing during the previous government Barisan Nasional.